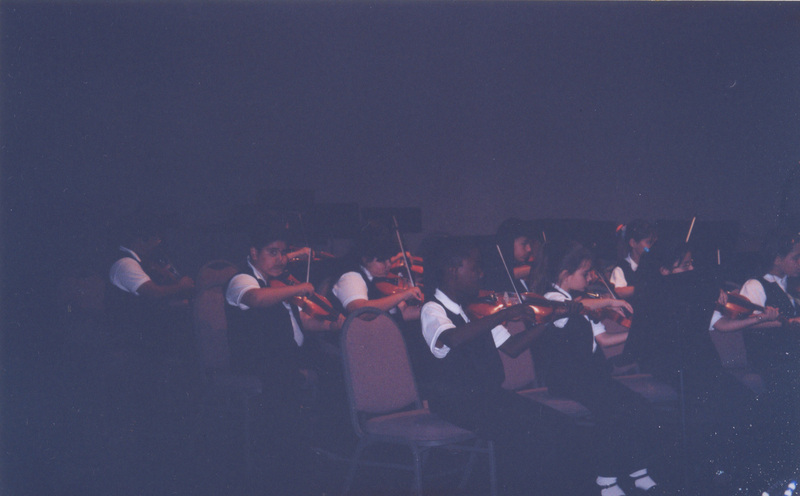 Our Orchestra was founded in 1999 by our actual conductor: "Ms. Constantinidis"
Thanks to our suportive principal Dr. Julio Carrera and the MDCPS-Music Department. Our first concert was in may of 2000. Since then we have been performing continuously. We have had the opportunity to play in many places. In 2001 we won the First Prize at the 2001 Music USA Festival. In 2002, for the second time, we won the First Prize at the 2002 Music USA Festival. We won the First Prize, for a third time in the 2003 Music USA Festival. In 2003 we recorded our first CD: "I love this Beat!!!" -) MIAMI YOUTH FAIR AND EXHIBITIONS. "GENIUS IS ONLY GREAT PATIENCE"